Summer is the perfect time to enjoy your garden at home with your pets or plan a holiday with them and enjoy lush gardens and comfort elsewhere! BE PREPARED Fully equipped, so even a Boy Scout would approve. 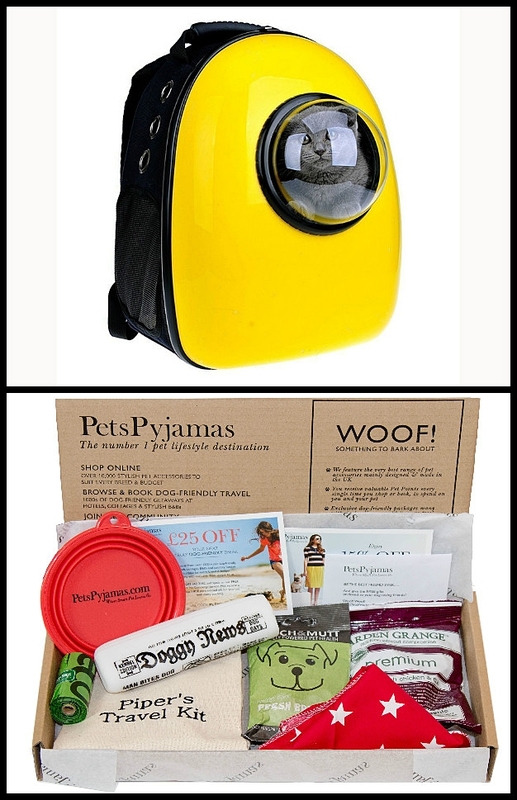 The Canine Travel Box makes a practical gift and and is a must for every canine traveller. The box can also be personalised with the pet's name and photograph. FROM YOUR GARDEN TO THEIRS Pet-friendy accomodation is even more popular than ever and this is fortunate for some nervous or special pets (and their owners), as boarding kennels are not considered an option by some. Comfortable accomodation complete with recreational facilities and pampering for both pet and owner can make or break a happy holiday, so here we've listed a couple of our favourite pet-friendly garden stays that offer 'special perks' for pet families, from www.PetsPyjamas.com .